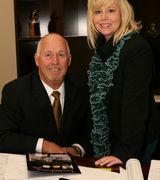 Fred Festersen & Nicole Adelman have been proudly serving South Placer County with over 49 years of combined & dedicated Real Estate experience and 43 years combined Masters Club Membership. We are consistently among the top producing Realtors in our area! Our success comes from our honest approach, professionalism and integrity, emphasizing our extensive local knowledge, effective negotiating skills, creative marketing while responding to an ever changing market place. Fred has been a Broker since 1974 and is a CAR Ombudsman, PCAR Ombudsman, PCAR Mediator, Member of PCAR's Masters Club with 40 years Outstanding Life Membership and the longest tenured member. PCAR's 2015 Honorary Member Award and NAR Emeritus Honor. Nicole is a licensed Realtor, Member of PCAR's Masters Club and a Professional Photographer by trade, she has the ability to Market your home with beautiful images that will ensure your home looks it's best, to maximize profitability, honestly and effectively by creating custom property websites, virtual tours, drone photos, video, creative flyers, Face book Ads & postcards that will make your home stand out on the internet and on print, it's all about creating an exciting "Buzz" about your home, to capture a buyers interest. If you are interested in finding out what your Home may be worth, please don't hesitate to give us a call! for the job as your Realtor!